Mighty Food Farm is a certified organic farm in Shaftsbury, Vermont. We grow over 100 varieties of organic vegetables for our local community. We grow 15 acres of vegetables and 1 acre of strawberries Our CSA runs June through March and is a “free-choice” CSA. 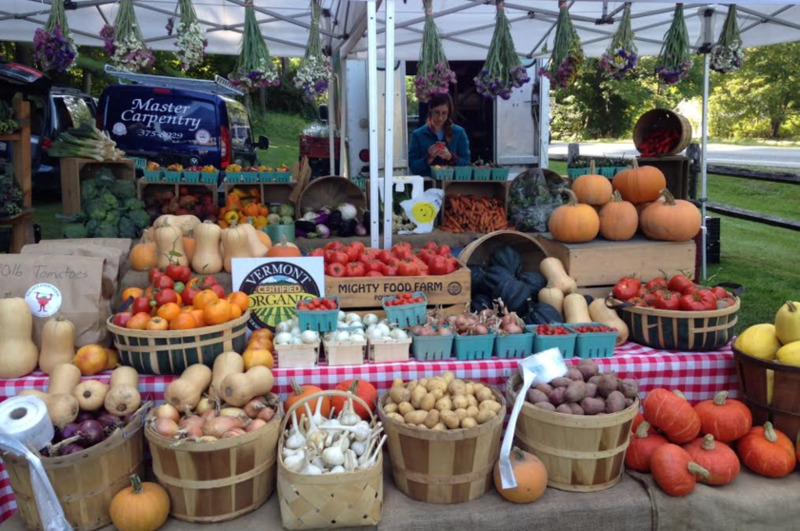 We attend the Williamstown, MA; Dorset, VT; and Bennington, VT farmers markets year round. We also sell to restaurants, groceries, and Co-ops. Lisa MacDougall is the owner and general manager of the farm. . Lisa has a Bachelor’s of Science degree in Plant, Soil, and Insect Sciences, through the University of Massachusetts at Amherst. Our produce is hand-picked, nutrient-dense, and grown in soil that is balanced and fertile. Products Overview: lettuce, baby lettuce, kale, chard, collards greens, spinach carrots, beets, turnips, potatoes, parsnips, leeks, rutabaga, kohlrabi. winter squash, summer squash, eggplant, peppers, radishes, scallions, onions, garlic, cucumbers, tomatoes, heirloom tomatoes, cherry tomatoes, watermelon, cantaloupes.